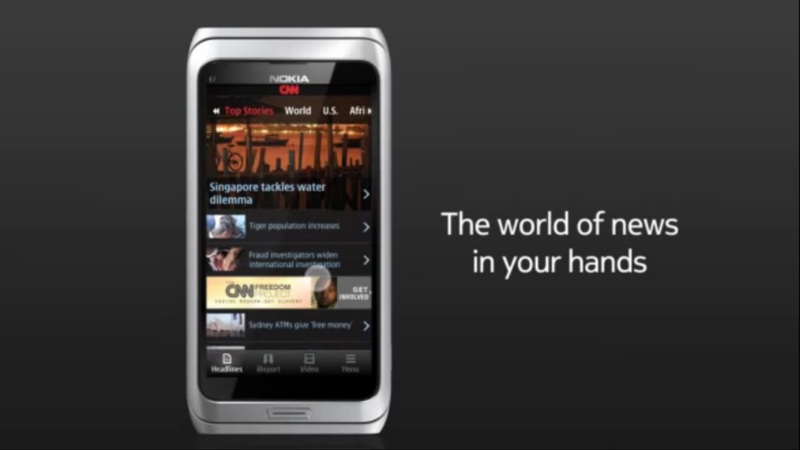 Nokia has uploaded another demo of the popular and very smart, slick looking CNN app demoed on the Nokia E7. « Nokia’s Windows Phone has no Windows Phone buttons? All touch? Or Fake?